Carry your DSLR or other type of camera and attached lens worn over your shoulder or cross-body style with the lightweight, black Tour Strap from Tamrac. This strap features a 1" width, 47.25" maximum length, and 5 oz weight. For strength and ease-of-use; the strap is constructed from ballistic nylon and has Duraflex buckles. 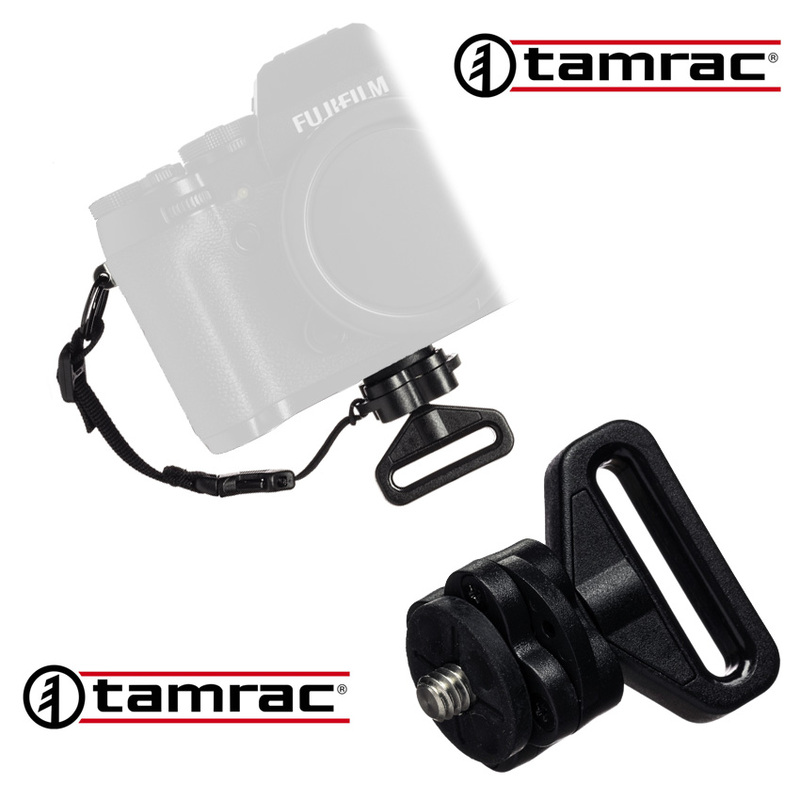 It has a 2.25" wide by 14.5" long sliding pad to provide added comfort, and a TamLoc Connector is included for mounting to the camera's tripod socket. A TamLoc Tether with key ring is also provided for additional camera connecting options.